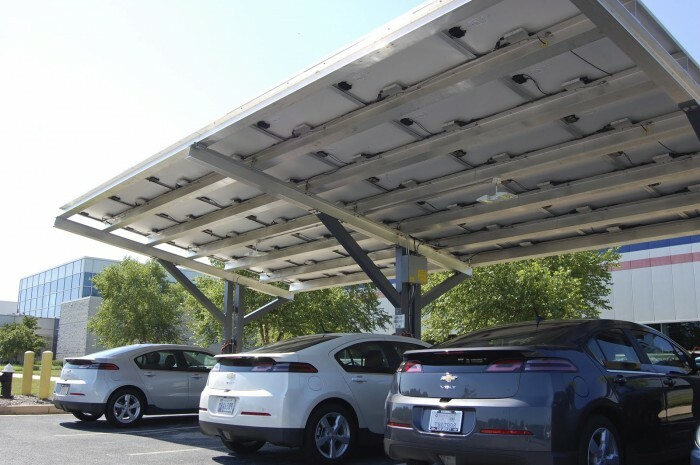 General Motors this week announced that it would be adding a total of 3 acres of new solar arrays at two different facilities in Michigan. The GM solar arrays will be built at the Swartz Creek processing center and the Flint engine plant. These arrays will together produce about 400,000 kilowatt hours of renewable energy each year; that’s enough to power 25 homes. GM expects the projects to be completed this fall. When the solar arrays have been built, GM will officially house over 38 megawatts of solar power globally, at 13 facilities. When you combine that number with its landfill gas and biomass energy use, the figure jumps up to 60 megawatts. The additional three acres of GM solar rays are a part of GM’s bigger plan to reach 125 megawatts by the year 2020.